The National Institution for Transforming India, NITI Aayog, is the policy think tank of the Government of India, which was established with the aim to achieve sustainable development goals. NITI Aayog internships are the dream internships for students who wish to build a career in the government sector and provide an opportunity to make a large-scale impact on the nation. What are the types of internships at NITI Aayog and who is eligible? NITI Aayog offers unpaid internships to students throughout the year under the NITI internship scheme initiated in 2015. Students pursuing undergraduate, graduate, or postgraduate degrees and the research scholars can look for internships in various departments such as economics, science & technology, skill development & employment, foreign trade, finance, rural development, and communications and media. NITI Aayog internships typically last 6 weeks with an exception of 3-month internships in certain profiles. How to apply to a NITI Aayog internship? The only way to get an internship at NITI Aayog is to apply online through the official NITI Aayog website. The online application link is open from 1st to 10th of every month. While filling the application form, students have to list their academic qualifications and select their preference for a department. What after applying to an internship in NITI Aayog? 1. What are the functions of NITI Aayog? 2. What all do you know about NITI Aayog? 3. How can you contribute to NITI Aayog (or the specific department you’ve applied for)? 4. What do you think would be your job as an intern in the Development of Backward Area Department (or the specific department you’ve applied for)? 5. How do you think are policymakers hired? 6. How do we categorize companies as micro, small, and medium enterprises? If you make an impact on the recruiter in this round, you’ll be called for another interview wherein they’ll ask you about the project/topics you’d like to work on. Next, they’ll explain in detail about NITI Aayog and what your internship would entail. 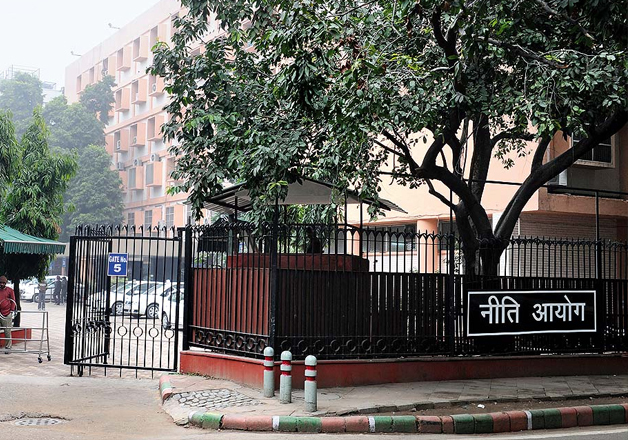 What to expect once your internship at NITI Aayog begins? Exposure: As an intern at NITI Aayog, you’ll get an exposure to various verticals within the organisation. You’ll also get an opportunity to observe the functioning of Indian government closely. You’ll attend workshops, seminars, meetings, and international conferences that would give you a chance to learn from seasoned people. Work culture: The work environment at NITI Aayog is quite formal, similar to that of any government facility. However, the employees at NITI Aayog are friendly, helpful, and always up for discussions. Responsibilities: The major tasks that interns at NITI Aayog are entrusted with are researching into a specific domain/project assigned to them and recommending scalable solutions for the same. Interns get a chance to present their work directly to the policymakers. 1. Research about the functions of NITI Aayog and learn thoroughly about the department you’re applying for. 2. Dress up in a proper formal attire for your interview. 3. Interns need to bring their own laptops to the office during their internship at NITI Aayog. 4. The organisation is extremely open to suggestions and interns are given a lot of freedom to work on impactful projects. Now that you have an insight into the NITI Aayog internship program, apply to NITI Aayog summer internships 2018 and get a chance to intern at a government facility. You can also look for similar government internships on Internshala; just register here!